Quality, comprehensive and family-centered pediatric therapy services. Brittany is an office assistant at Children’s Therapy Connection. She graduated from Anderson University with a Bachelor’s Degree. Since graduating in 2012, she has worked in a diverse collection of organizations including higher education and customer service. 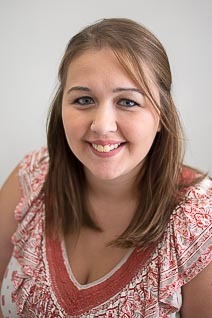 Brittany joined the Children’s Therapy Connection team in 2017. She brings a lot of experience in insurance related matters having previously worked in Customer Service at Anthem. She feels that she has finally found her niche being able to couple her administrative and customer service skills alongside a wonderful team that together make a difference in our patients’ lives. Brittany enjoys exploring different historical museums, camping, and binge watching Netflix with her new husband Abram, daughter, Clara Belle, and puppy, Lucas. Why should we care about crawling? 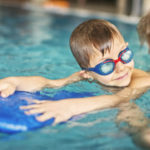 Make a big splash with Aquatic Therapy! Get the latest edition of CTC’s free newsletter full of parenting advice, art & craft ideas, motor activities, and child development resources.